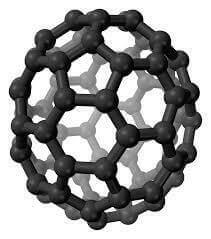 Carbon Fullerenes C60 99.0 Fullerenes are closed hollow cages consisting of carbon atoms interconnected in pentagonal and hexagonal rings. Each carbon atom on the cage surface is bonded to three carbon neighbors and is sp2 hybridized. 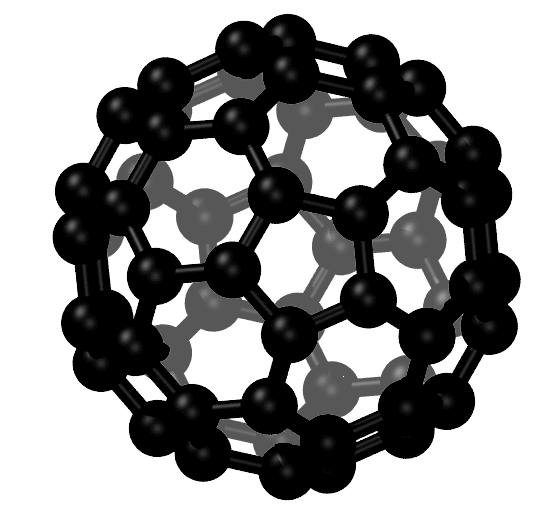 Carbon Fullerenes C60 Appearance: Granular, dark-brown powder. Sublimed appears as deep blue-black needle-like crystals reaching 5 mm. Thin films (< 5 microns) appear golden-brown. Please note – there is no scientific evidence or permits indicating this material is safe for human consumption. 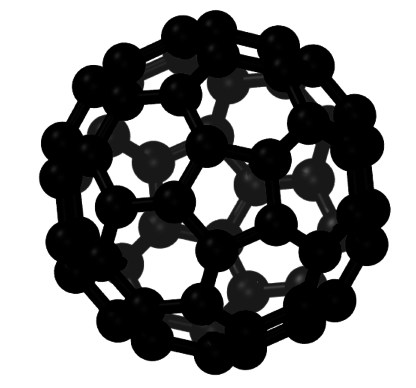 Fullerenes are the third allotropic form of carbon material after graphite and diamond. These were discovered in 1985 by Harold. W. Kroto, Robert F. Curl and Richard E. Smalley. Fullerenes consist of 20 hexagonal and 12 pentagonal rings as the basis of an icosohedral symmetry closed cage structure. Each carbon atom is bonded to three others and is sp 2 hybridized. The C 60 molecule has two bond lengths, the 6:6 ring bonds can be considered “double bonds” and are shorter than the 6:5 bonds. C 60 is not “superaromatic” as it tends to avoid double bonds in the pentagonal rings, resulting in poor electron delocalisation. As a result, C 60 behaves like an electron deficient alkenes and reacts readily with electron rich species. The geodesic and electronic bonding factors in the structure account for the stability of the molecule. Fullerenes can be used as organic photovoltaics(OPV), these are powerful antioxidants, reacting readily and at a high rate with free radicals which are often the cause of cell damage or death. 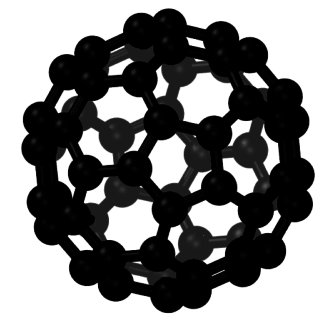 Other uses of C 60 like catalysts, in water purification and biohazard protection, portable power, vehicles and medical.